We offer over 30 different vegetables (and some fruits) that are grown on our farm. No synthetic fertilizers or other artificial components are included or used. 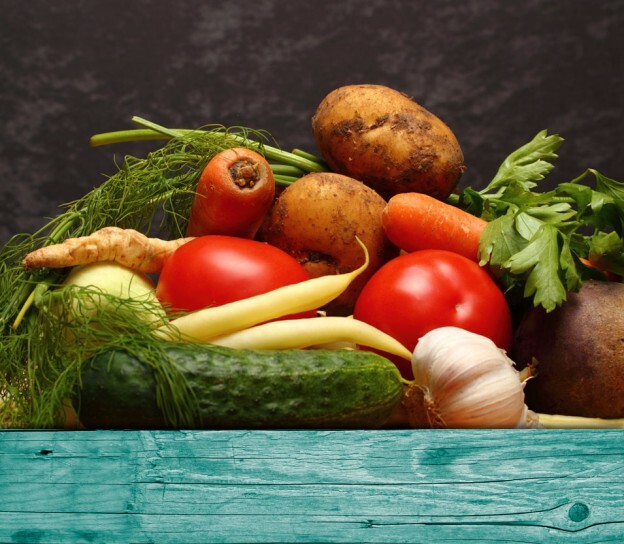 What you get is some of the most nutrient rich, most amazing tasting vegetables available. Clean and simple. 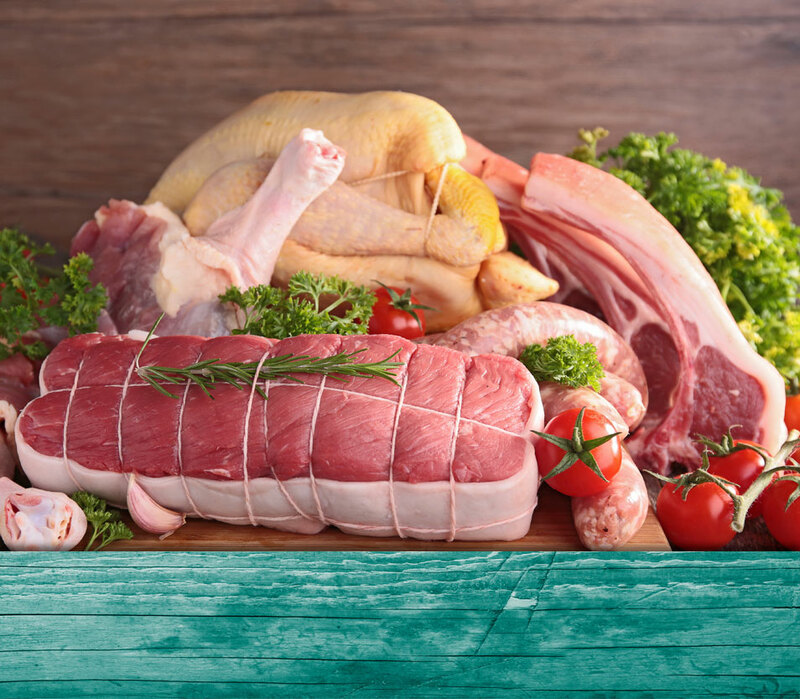 We offer beef, pork, chicken, and lamb. All our animals are raised on pasture, and the cows and lamb are grass fed. Pigs and chicken eat grass, fresh food and are supplemented with non-GMO, organic feed. All meat is free of chemicals as we do not use pharmaceuticals, antibiotics, hormones or pharmaceutical substitutes for hormones. Raised with the highest ethical and environmental standards, this is incredibly tasty meat that is the way it’s meant to be. Once you sign up, we’ll send you an email confirming your order and provide you the day and approximate time of delivery. It will also invite you to set up an account, which will give you access to weekly à la carte offerings. An email is sent a few days before your delivery detailing what will be included in that week’s box. If, for whatever reason you need to skip a week, just reply to the email and we’ll hold your order. À la carte items must be added, and skip notices must be given, by midnight two days before your order is delivered (e.g., for Thursday deliveries, all changes must be made by Tuesday at midnight). More information on frequently asked questions are here. Ready to buy some of the delicious food you’ve been hearing about? Our family believes in food the way it was meant to be: healthy and nutritious and produced through ethical, respectful and sustainable farming practices. We deliver this delicious food from our farm to your door, generally within Toronto, York and Durham Regions. Our farm grows over 30 types of vegetables (and some fruits), chemical-free. We raise cows, pigs, lambs, chickens and hens, all without hormones, pharmaceuticals or antibiotics. And we’re talking zero. Zip. Zilch. Nada. Our farm invests in and works with nature, complementing the natural environment and building on it. We never exploit it, confine it or damage it. And we’ll absolutely never change. Because we want you to view our farm as your farm, and the food we raise and grow as your food. So go on – enjoy it stubbornly.